The Big 12 Conference is flat out wrong. If Eric Martin’s jarring block on a Niles Paul kickoff return last weekend is worthy of suspension, then what about personal foul penalties that are ACTUALLY CALLED in a game? Martin wasn’t penalized for the hit on Andrew Hudson, but Big Brother Big 12 makes this look like it is trying to find another way to kick Nebraska before it heads out the conference front door. Conspiracy? No way, just good old fashion Nebraska hate bubbling to the surface — flagrant stupidity. Conference officials announced late Wednesday that they have suspended Martin for Saturday’s game against Missouri, following a big hit on Oklahoma State’s Hudson on a 100-yard kickoff return by Paul last Saturday in Stillwater, Okla., http://dld.bz/3PTE. So, even without interviewing Martin himself the Big 12 decides he intended to hurt Hudson on that block. Much has been made about Martin supposedly celebrating right after the hit. So what? Football is no longer an emotional, physical game? Guess not. Last time I checked that’s what this game is all about. Martin’s reaction says nothing about what he intended to do. Did he intend to blow up Hudson to keep him away from Paul? Dang right he did. But the Big 12 is overreaching on this one. Officials didn’t penalize Martin for the hit and the replay shows he had his head up and delivered a solid, and certainly not dirty, block. In other words, he did what coaches have taught him to do. Heck, Hudson’s head didn’t even snap backward on the hit, that’s why it didn’t draw a flag. Later in the game Nebraska quarterback Taylor Martinez took an obvious helmet-to-helmet shot, and the defender was flagged for a late hit after Martinez delivered a pass. Where’s the suspension for that hit, Big 12? Hey, while we’re at it. Remember that all-time great hit, ‘Eric Crouch Stars in the Exorcist,’ http://dld.bz/3PTk. Heck, no flag on this one and no suspension from big brother at the Big 12 either. This situation begs for a review of Big 12 rules and how games are officiated. 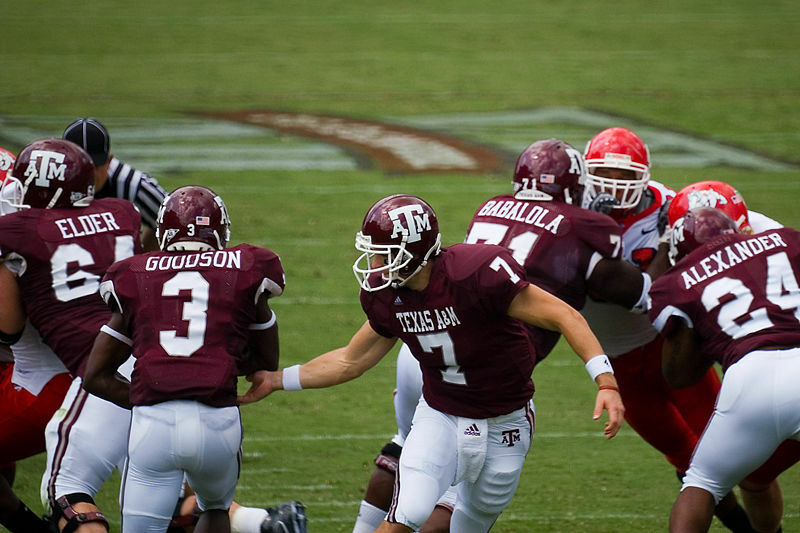 Should the conference protect student athletes from physical harm? Absolutely. Should a player who throws a block or delivers a jarring tackle with the intention of physically harming another player be subject to suspension? That’s debateable. This isn’t an easy line to draw. Sure, there’s intention on every block and tackle. Players want to take out opponents. Football is about hitting, not about players considering the legal consequences and how the conference might react before making a play. But if the conference is going to issue a suspension it needs to be consistent. If Eric Martin sits this week, then the OSU player that clearly intended to hurt Martinez should be suspended. This is especially the case considering that officials called roughing the passer on the play. In this situation the rules protect no one. Martinez continues to be a sitting duck because he is a dangerous runner. If players can be suspended as a result of non-penalty plays, then those flagged for obvious personal foul penalties should sit. Afterall, isn’t the intention to protect players? Well, hard to tell in this situation. It’s easy to point to Nebraska’s exit from the Big 12 as a reason for the microscope placed on the Huskers last week. Even if that’s not the case, this situation begs the question — Exactly what is the Big 12’s intention here?